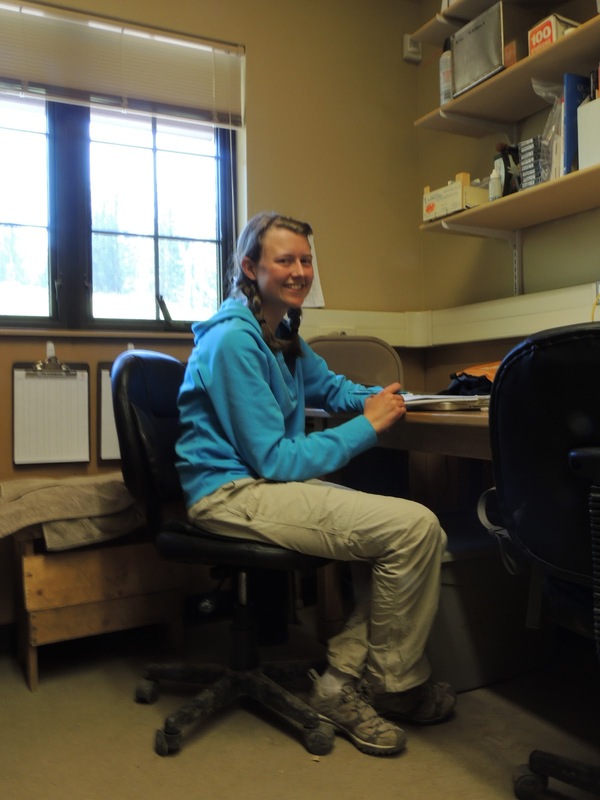 Marmot team also studies birds! My name is Jessica Whitaker and I am a senior zoology major at Southern Illinois University in Carbondale, Illinois. I anticipate attending graduate school to study birds or animal behavior. I’m super excited to spend my summer at RMBL testing whether birds have the ability to distinguish among types of nonlinear acoustic phenomena: noise and two types of deterministic chaos. I will complete playback experiments in the field and quantify behavioral responses of birds to determine if the types of sound are perceived differently. In addition, I plan to study the degradation of sound over space by broadcasting and recording sounds at increasing distancesand using spectrogram correlation to compare noise and two types of deterministic chaos. My favorite part of the project is hiking around the beautiful mountain landscape and finding birds willing to listen to my stimuli.